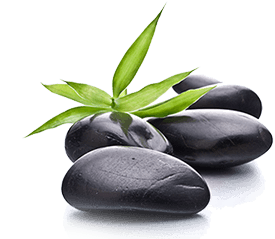 Pure Organic Spa – the first spa in the USA to proudly presents you Erb products. As a leading specialist in Thai herbal skincare, Erb is dedicated to the well-being of the mind, body and soul by using natural Thai remedies that have inspired this unique Thai Herbal Spa range. Erb recognizes the importance of everyday relaxation and have tailored a line of products to fit in with daily lifestyles. Daily usage of Thai herbs can improve overall health. Using a mirage of beneficial herbs, flowers and roots, these products are very effective for complete soul revival. Erb is a luxury professional skincare product range from Thailand. Erb has tailored its products and treatments to work across individual lifestyles. Erb’s ranges of products are created from pure natural ingredients, using no animal derivatives or testing. Erb only uses the finest quality herbs and active natural bases. Treatments focus on the whole person: their physical, physiological, emotional, social, spiritual and cultural well-being. Allow the scent of Vetiver pacify your mind and drift you to the state of total tranquility while luxurious Jasmine delicately soothes and calms your skin. Balance your skin and soul in a night of deep and dreamingly serene sleep. When your body feels about as tight as a corkscrew it’s about time you unwound it…slowly smooth out the crinkles from your head, neck, back and shoulders with this ultra relaxing massage oil. Indulge body, mind and soul with the refreshing and relaxing touch of fresh Orange, Petitgrain and Bergamot Oils just to lose yourself again in a deliciously sensual Ylang Ylang rubdown. Banish any chance of lingering cellulite with this super power circulation pumping blend of wonderfully extracted Black Pepper, Basil, Cardamon and Plai that will have you looking and feeling simply sizzling hot hot hot! Unscented body massage oil is also available upon request. For our facial treatment, you are treated with Erb’s Seven Pollen Face Spa Ritual Collection. The seven pollen of Sacred Lotus, Sarapee, Bakula, Jasmine, Bunnag, Ylang Ylang and Champaka promises to moisturize, regenerate and rejuvenate your skin in the most harmless way.